ISLAMABAD: In a strange twist of events, Pakistan Tehreek-e-Insaf (PTI) is supporting two out of the three candidates for the caretaker prime minister proposed by PM Shahid Khaqan Abbasi. Out of the six names proposed by the PML-N and PPP through Prime Minister Shahid Khaqan Abbasi and the Leader of the Opposition Syed Khursheed Shah, three belong to one family hailing from south Punjab. After the prime minister and leader of the opposition failed to develop a consensus on the name of caretaker prime minister, the matter is being referred to eight-member parliamentary committee under Article 224A of the Constitution. 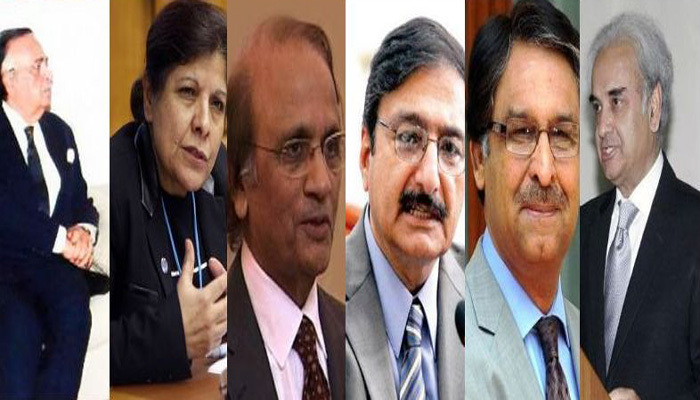 If the parliamentary committee also fails to agree on the name of the next caretaker prime minister, the matter will be referred to the Election Commission of Pakistan (ECP) under the same article and it is being analysed that in that case the retired judges among the proposed names will become strong candidates. The prime minister has proposed the names of Justice (R) Tassaduq Hussain Jillani, Justice (R) Nasirul Mulk and Ms Shamshad Akhtar. Leader of the opposition has proposed the names of Jalil Abbas Jillani, Salim Abbas Jillani and Zaka Ashraf. PTI has announced support for the name of Justice Tassaduq Jillani last week and one of its spokespersons announced during a talk show on Friday that his party also had no objection to the name of Justice Nasirul Mulk. Following are the brief profiles of all these six proposed names for the position of caretaker prime ministers. Jalil Abbas Jillani: He was a career diplomat from the Foreign Service of Pakistan. Jalil served as the 22nd Ambassador of Pakistan to the United States from December 2013 to March 2017. He also served as Foreign Secretary of Pakistan from March 2012 to December 2013. A law graduate from Oxford, Jilani joined the Foreign Service in 1979. Having served as deputy secretary to Benazir Bhutto and Nawaz Sharif during their first terms in the Prime Minister Office and as Deputy High Commissioner to India in early four years of General Musharraf, he is considered close to the all stakeholders. After completing his assignment in India, he headed the South Asia desk at the Foreign Office for the next four years till 2007 and also remained the spokesperson for Foreign Office. He also served in the US, Britain, Saudi Arabia, Australia. Jalil is the younger brother of former chief justice of Pakistan Justice Tassaduq Hussain Jillani and belongs to a family of eminent bureaucrats which basically hails from Multan. 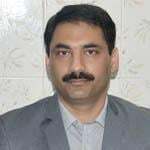 He was CSP/ex-commoner officer and is the cousin of three brothers; Tassaduq Hussain Jillani, ex-CJ, Ghazanfar Abbas Jilani, Audit & Accounts Group, Jalil Abbas Jillani, ex-Foreign Service bureaucrat. Salim Abbas Jillani joined the civil service in 1957 and retired in 1996. Salim served as federal defence secretary for seven years. He also served as Principal Secretary to Prime Minister, Chairman of Pakistan International Airlines, Civil Aviation Authority, Fauji Foundation, Pakistan Steel, Karachi Electric Supply Corporation, Rice Export Corporation of Pakistan, Pak-Arab Refinery Limited (PARCO), Chief Secretary of Sindh and Balochistan and Federal Minister for Defence and Defence Production, Government of Pakistan. Basically hailing from Muzaffargarh, Salim is 81 years and six months old at present. He belongs to a leading business family of Pakistan and is considered very close to the PPP chief Asif Ali Zardari. He is also a member of Central Executive Committee (CEC) of Pakistan People’s Party. His sister Begum Ishrat Ashraf is a senior leader of PML-N. Zaka was appointed as president of Zarai Taraqiati Bank Limited (ZTBL) in August 2008 by the PPP government. Later his appointment as president ZTBL was declared as illegal by the Lahore High Court (LHC). Afterwards, he was made Chairman of Pakistan Cricket Board (PCB) by the then President Asif Ali Zardari in 2011. Zaka’s family belong to Gujjar cast of the Punjab and presently is Chairman Ashraf Group of Industries and owns Ashraf Sugar Mills in Bahawalpur. Zaka also remained the Chairman of Pakistan Sugar Mills Association. According to official website of Ashraf Group of Industries, the group has big investments in sugar manufacturing, green energy, coal mining, stone quarry, real estate, corporate agriculture farming, livestock and dairies. Though he is considered as right hand man of former president Zardari, still he is never declared as ‘unacceptable’ by the stakeholders. He remained Chief Justice of Pakistan from December 2013 to July 2014. According to official website of the Supreme Court, Justice Jillani was known as a liberal, independent and balanced judge. “As a judge of the High Court and as judge of the Supreme Court, he (Justice Jillani) has delivered opinions and authored judgments on various issues of domestic and international concern such as enforcement of fundamental rights,” reads the SC web. According to the SC website, Justice Jillani has done a course in Constitutional Law from the University of London in the Institute of Advance Legal Studies, LLB from the University of Punjab, Lahore, Masters in Political Science from Forman Christians College, Lahore. Justice Jillani started legal practice in Multan District Courts in 1974. In 1976, he was enrolled as an advocate of High Court. In 1976, he was elected a general secretary, District Bar Association, Multan, in 1978, member Punjab Bar Council. He was appointed as assistant advocate general Punjab in 1979 and was enrolled as an advocate of Supreme Court of Pakistan in 1983. He was promoted as additional advocate general Punjab in 1988 and was appointed as advocate general Punjab in 1993. He was appointed as a judge of the Lahore High Court on August 7, 1994 where he served for ten years as he took oath under Musharraf’s first Martial Law in 1999. In 2004, he was elevated to Supreme Court where he served till the imposition of emergency on November 3, 2007. He refused to take oath after Musharraf's second coup but joined the apex court under the Naik-formula. Participated in several international conferences and colloquiums where he spoke on issues which included “Domestic Application of International Human Rights,” “Gender Justice,” “Alternative Dispute Resolution,” “Forced Marriages,” “Transnational Child Abduction” and “Religious Tolerance.” Some of the honors and awards received include; “Key of the City of Detroit (Michigan)”, was conferred “Honorary Doctorate in Humane Letters” on 12 of October, 2007 at a special Convocation held in Southern Virginia University, Washington, was conferred the Honorary Chair by the American Bar on its “The World Justice Project”---an Initiative to promote the rule of law the world over. Pakistan had also recommended Justice Jillani as an ad hoc judge to the International Court of Justice to hear the case of Indian spy Kulbhushan Jadhav who has been sentenced to death. He was born on August 17, 1950, remained Chief Justice of Pakistan from July 2014 to August 16, 2015. Justice Nasirul Mulk belongs to Swat, Khyber Pakhtunkhwa and did Barrister-at-Law from the Inner Temple London in 1976. He delivered lectures in Khyber Law College Peshawar and the Peshawar University besides delivering lectures as Guest Speaker at NWFP Provincial Services Academy, Peshawar. He practised as an advocate in all fields of law for more than 17 years till his elevation as judge of the Peshawar High Court on June 4, 1994. He also remained Chief Justice Peshawar High Court from May 31, 2004 till his elevation as judge of the Supreme Court on April 5, 2005. He was elected as Secretary General, Peshawar High Court Bar Association in 1981. He was also elected twice as President of High Court Bar Association, Peshawar in 1990 and 1993. He also remained Advocate General for NWFP in 1993. He also remained Chairman Federal Review Board of Pakistan since 2009. He also served as Acting Chief Election Commissioner of Pakistan and Judge In charge Federal Judicial Academy. Justice Nasirul Mulk also participated in International Symposiums including International Judicial Training Conference Barcelona, Spain 2007, World Justice Forum II Austria Center Vienna 2009, The International Association of Supreme Administrative Jurisdictions (IASAJ) 2010, Congress Sydney & Canberra Australia. He also headed the delegation of the judges and legal fraternity of the country to visit to United States of America in 2013. Justice Nasir took oath of PCO after imposition of first Martial Law by General Musharraf in 1999 but he refused to take oath after Musharraf’s second coup on November 3, 2007. However, he joined the superior judiciary under Naik-formula before the restoration of the then Chief Justice Iftikhar Muhammad Chaudhry. According to an introduction of his family on a website, Nasirul Mulk is the son of ex-Senator Seth Kamran Khan. He was born to an influential Pashtun family of Mingora, Swat. He is a brother of ex-Senator Shujaul Mulk and former Tehsil Nazim Rafiul Mulk. Shamshad Akhtar basically is a development economist. She served as an Under-Secretary-General of the United Nations and as the head of United Nations Economic and Social Commission for Asia and the Pacific (UNESCAP). She also served as the 14th Governor of the State Bank of Pakistan. She was the first woman to assume this position. Shamshad Akhtar also served as a senior adviser to Secretary-General of the United Nations Ban Ki-moon and the vice-President of the World Bank, according to the website of United Nations (UN). Shamshad Akhtar belongs to Hyderabad, Sindh. She received her earlier education in Karachi and Islamabad and graduated from the University of Punjab and got masters degree in economics from Quaid-i-Azam University, Islamabad in 1975. She received another masters degree in development economics from the University of Sussex in 1977. She was awarded doctorate degree by the University of the West of Scotland (then the University of Paisley) in 1980. Akhtar started her professional career with the Planning Commission. Later she worked with World Bank mission in Pakistan as a country economist. She attended John F Kennedy School at Harvard University as a postdoctoral researcher under the Fulbright Program. She also worked as economist with Asian Development Bank.